This Bubbles character is here to say 'Hooray it's Christmas!
' 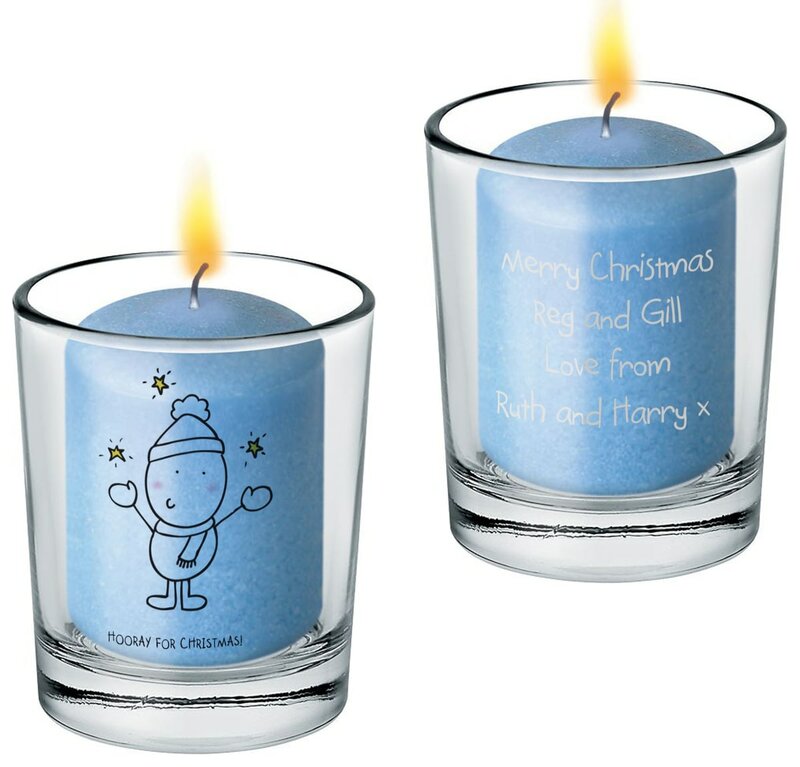 Perfect for celebrating the festivities in a unique way, this bespoke votive includes your message expertly printed under our design. No Christmas is complete without a candle to light up the dark winter night. Whether they drink whisky or just orange juice, they'll think of you when they use this personalise glass tumbler. Perfect for serving a glass of orange, or a harder drink with a mixer, this hi-ball glass is given a personal and festive twist.